What different drummer was that little old lady grooving to during lunch hour on Monday, 26 March 2007, at Alexanderplatz in Berlin? Mystery Solved! An endurance task performance consisting in one hour of continuous improvisatory dance to selected Berlin house music of the early 2000s. The work is an example and a celebration of work, dedicated to East Berlin as the capital of the former state that was itself dedicated to the worker. It also celebrates my relocation to the city of reunification, in which two formerly segregated societies are finding intelligent ways to come together. 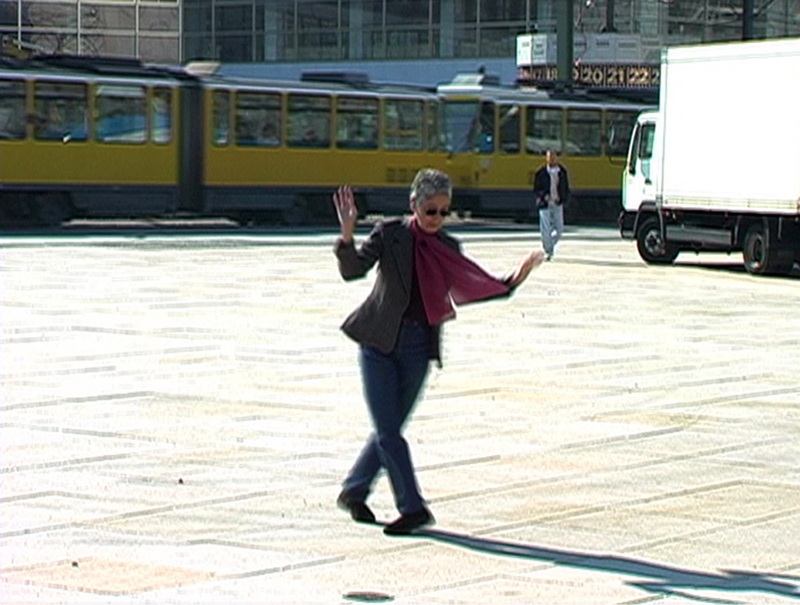 In Berlin, dance spaces have been one of those ways since the Fall of the Wall in 1989.